This automates the marshaling/unmarshaling of Java instances as Linked Data RDF resources. JAX-RS Service operations for accessing, updating, creating and deleting RDF resources. For debugging purposes, JSP pages are also produced to deliver HTML representations of all RDF resources. JAX-RS Service operations to completely handle Delegated UI for both creation and selection dialogs. Including the initial generation of basic JSP pages for the html-representation of the dialogs. Including the initial generation of basic JSP pages for the html-representation of the resource previews. Lyo Designer supports incremental development, where manual changes to the generated code are preserved upon changes to the model, and subsequent code regeneration. How to use Lyo Designer to model domain specifications, and generate OSLC4J-annotated Java classes to reflect the defined OSLC Resources. Bugzilla - an example of what Eclipse Lyo can be used for, in the form of an OSLC-CM compatible adapter for the Bugzilla bugtracker application. It wraps Bugzilla (interacting with it through Bugzilla's native XMLRPC API) with an OSLC-CM provider server accessible through REST calls. Sample OSLC client - that demonstrates how to use the Lyo client to interact with OSLC Service Providers in various ways. SharePoint - This SharePoint adapter looks through the sharepoint OData collections for collections where the ContentType is defined as "Document". For each SharePoint library that contains documents, an OSLC service provider is created with the basic services for OSLC Delegated dialogs for selection and creation as well as listing the documents with a UI preview. The Hudson and Jenkins adapor implements the OSLC Automation specification. The Lyo LDP reference implementation - is a sample Java implementation of the W3C Linked Data Platform 1.0 Candidate Recommendation using JAX-RS (Apache CXF) and Jena TDB. Integrating products with OSLC - A tutorial that explains how to implement OSLC Servers and Clients, with lots of examples and working code. Linked Data and OSLC Tutorial - A video introducing Linked Data and OSLC. Introduction to OSLC and Linked Data - A slides presentation introducing OSLC. Find more information in the Javadocs. OSLC Tracked Resource Specification (TRS) SDK - provides a simple set of java beans that represent the entities within the TRS specification. > TODO current TRS libs live under the Lyo core. Lyo Store - a library that provides a simple interface for working with a triplestore via Java objects representing OSLC Resources. 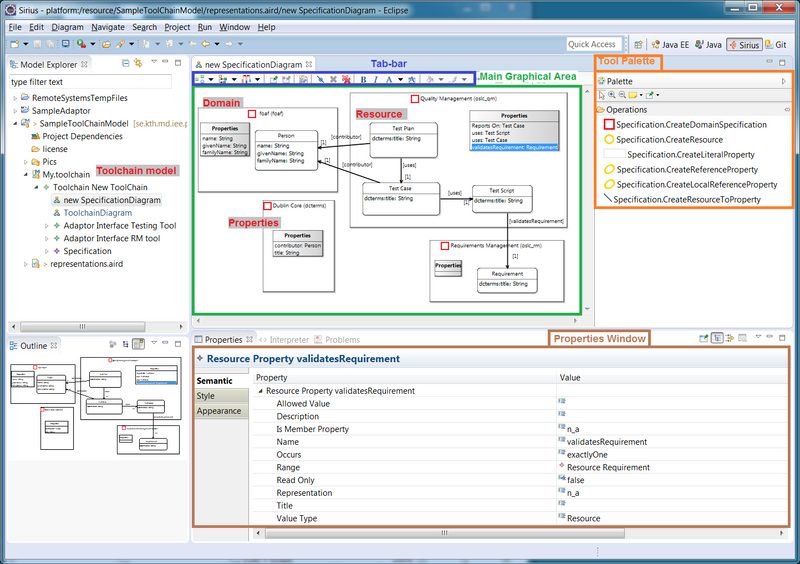 Test Suite - provides a suite of tests which will test OSLC domain provider implementations against the specification. Reference Implementations - See how OSLC works directly with working samples and with a simple server to test against. > TODO is it a typo? Reference Implementations (OUTDATED) - a simple, bare-bones reference implementation of the OSLC specifications. RIOs are intended to help those who are adopting OSLC by providing a functioning system that can be explored via a simple UI and REST services, or by taking a look at the source code. To contribute code, see the Lyo Contributor's Guide and Tips for Working with Git. After 2.1 there was a plan for immediate Lyo 3 release, but it was not picked up eagerly enough. Right now the new roadmap continues to make 2.x releases: Lyo 2.3+ roadmap (updated on 2017-07-29).